I've been baking up a storm. My new thing is bread. I've just about purchased every bread cook book available. At night I look through the pages and read the recipes. I've even read the introductions and all the "before you begin to bake" information. (Usually I'm all about looking at the pictures.) The book pictured above has transformed my baking skills. Dough by Richard Bertinet. It's a must have. I'm not even going to show you how to do this...the book comes with a DVD that you can watch. Richard Bertinet is a genius! Now I am beginning to feel confident and want to try all different kinds of bread. I want your life transformed too! There will be three winners....contest ends Thursday. I'm sorry but these books will ship from Amazon..so only enter if you live in the U. S. Leave a comment and it might be your lucky day! Yesterday I finished my Home Sweet Home quilt. Thought you would like seeing it. I loved working on this quilt! Wishing you all time to enjoy the season! Just what I need to feed my carb addiction!!! Looks yummy! Ooooooooooh bread is my weakness! It all looks so good. Sounds as if you are having a wonderful holiday season. Thank you Alma and Barb for all the giveaways and creative juices you send our way. I wish you and your families Happy Holidays and a great New Year! Oooo I would love to have that... I want to eat your picture! I would really like to learn how to make baguettes and this sounds like just the thing I need. Wish me luck on the drawing. Living without bread would be like living without chocolate or wine!!! Your bread looks so yummy! I love bread...not so much baking it, but would love to learn properly. Your bread looks so yummy. Thank you for another wonderful giveaway. Always wanted to learn to make bread. Please enter me in the drawing. It is a great thing to be able to bake your own bread. The smell of it baking and a must try is put some peanut butter on it right out of the oven and it melts oh it is wonderful. Well, just maybe bread baking is in my future. Thanks for the opportunity to win a great book. I am a fresh bread lover! YUM! Cograts to all the winners!! Great give away prize. I have made bread all my adult life. Baked at least 8 loaves of home-ground 100% whole wheat flour per week while my children were growing up. Finally taught one of my teen-age sons to make it. He now bakes it for his family. I love to make bread but have gotten out of the habit. Would love to win the book. Great Home Sweet Home quilt! Bread is something I would love to learn how to bake. So this must be the book for me. Sounds like you are really enjoying the holiday season. Merry Christmas. A long time ago I took a bread baking class and loved making baguettes and pizza and cinnamon rolls. But that was a looonngg time ago! Would love to see the book. also, adore your new quilt did you hand applique much of it? I just got into bread making too. I purchased a book called Kneadlessly Simple. It's wonderful because you don't have to knead the bread and all the recipes come out fantastic. Making bread is a skill I have lost because I haven't done it for so long. It is time to start over. oh how fun!! I LOVE bread!! Oh, I'd love to win this book! I like baking, but my hubby really likes baking bread~ I know he'd love this book . . . .
Oh yum! Bread is a weakness! It sounds like you are having fun learning the process. About to email you now. I guess 203 should be my new lucky number! Thanks so much! That looks wonderful and I would love to be a winner! Thank you for the giveaway. My mother in law taught me how to bake bread; I would love to have this book to expand my skills. We are all about bread in this house, sign me up! Alma-thank you for the great information on the survey of books. I would absolutely love to win this book, I have the book healthy bread in 5 minutes a day, but this one sounds great and a DVD. Thank you for your generosity. I'm a bread lover too and this book looks like it has some yummy receipes! Where do get your energy? You are always trying something new and fun. I love reading your blog - such inspiration!! Bread is my weakness. Thank you for your inspiration! I absolutely love bread and think I could survive on that alone. I'd be big as a barn but a very happy barn. Knowing how to make and bake bread would be the ultimate experience and I'll always welcome another great book. I love bread, in any way, shape or form. So enter me in the drawing. Looks like I won some fabric! YAY! Can I still be entered in the drawing for the bread baking book? Thank you so much! Happy Holidays! I would love to know how to make bread before I am 60 too!!! Congratulations to your winners and Conny your quilt turned out perfect! Baking bread is fun. I am still undecided about what to make for Christmas dinner. If you eat that every night beware! It looks delicious. Would love to win the Dough book. I love making bread. Making bread is great stress release and the smell is worth it. I am 59 so I need that book. Hi, I'm Shelly. I've tried to bake bread but failed everytime! So maybe this book can help me. Love your designs! I'm working on one right now. (I have to go anon because the word verification gets me everytime). Oh, I just love baking and this book looks like it really would transform my bread... I've always wanted to make artisan bread. I spend a lot on it from my local soup and sandwich shop (Kneader's in Utah)! I would love this book! Thank you for offering the chance to win it! That looks like a bread book I need! I've been baking whole wheat sandwich bread lately, but would love to add baguettes to my repertoire. What a great looking treat it looks just scrumptious. I love the Home Sweet Home quilt, very nice. Oh, this would be great to win. What's not to love about baking bread; the scent through your house must be amazing! I love the scent of baking bread. I've just now finished the Christmas cookies so maybe I can try some bread next. Would love to have another bread book to add to my library. I have tried to make bread, but am always timid. I think this book is right up my alley. I hope I win! 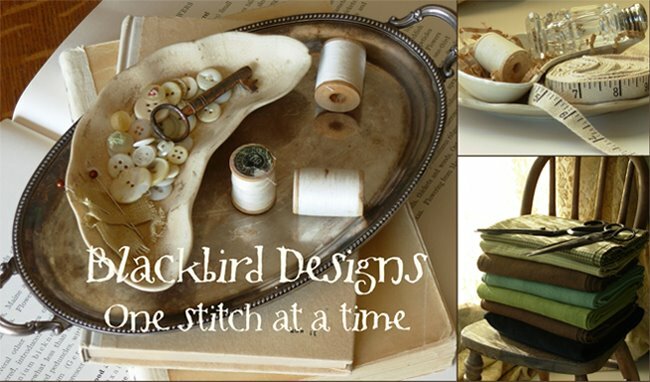 I used to belong to a stitching/baking group called The Bread and Thread Club! We would stitch while the bread was rising and then while baking. The aroma was fabulous company to our stitching! My husband is the bread baker here, but I'd SOOO love to learn to make the yummy cheesy stuff I'm too cheap to buy at the grocery store. I don't know that that's necessarily a good thing, sitting down to hot bread for dinner every night! LOL But I'm willing to chance it..thanks for the giveaway! I love to bake bread and can always learn something new. 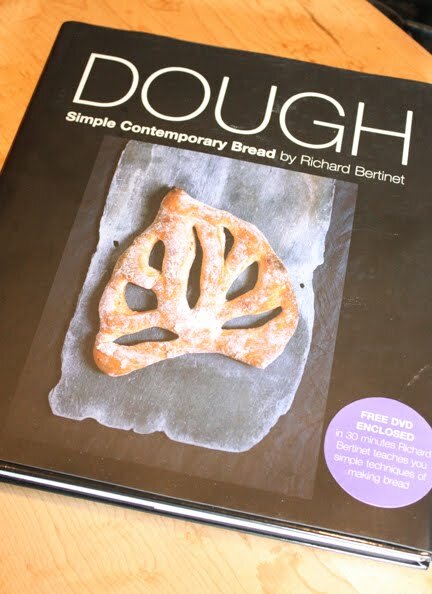 I love baking bread, might want to get Richard Reinharts books, awesome. Also love King Arthurs flour web site and blog. Bake on! It is right up there with stitching. I LOVE to make bread - and the yeasty aroma while it rises is just wonderful - makes your home smell just like grandma's house used to! Yes, please, put me in the drawing-I would love to try some new recipes! Thanks so much for the chance, and Merry Christmas to you and your family! I've always been intimidated by making bread--would love to be able to whip up some for dinner! Used to make bread all the time...not so much anymore...will have to get back into it since I'm 60 now! Okay, did not win anything with the first contest, but maybe that is because the bread contest is more my thing! What a gorgeous book! Win or lose, your blog rocks! Thanks for what you do! Looks yummy! Want to send a loaf my way? I want to make bread! Easy is the way to go. If I am not chosen, I can get the book on my own. But, what a great present it would be. Thanks for sharing. Enjoy the Holidays with your family. Well next to stitching, cooking is the other thing I love to so I hope I win :-). I have been cooking and baking more this fall and holiday season that usual and my family is enjoying the results. I am interested and scared of bread making. I would love to win. Thanks for the giveaway. Happy holidays! Bread... oh i love bread. You can never have enough bread. And fresh is the best. I love baking bread! This looks like a book I need. I love making bread and would love to have the book. Hope that it is my lucky day! I would love to learn how to make bread! Have not baked bread in a long time but would love the chance torekindle I'm interest with a new book. Thanks so much for the chance. I just love the smell of baking bread but everytime I try, it comes out like a hocky puck! HELP!!!! I'd love be be entered in your giveaway! Also that quilt is stunning! I can smell that dough already...heavenly! Please include me. Thank you, Alma. I would love to try those. Looks like a wonderful book on bread and I love to make bread! Such a generous contest - for three lucky winners. I am a bread lover, especially freshed baked. I would love to learn how. Thanks for the opportunity to win a book. Oh nice! My hubbie is the baker in the family -- he would love this! Congrats to the winners! I may have to get this book if I don't win. lol! Conny's quilt is fabulous. TFS I'd love to win a copy of Dough. Let us know if all your children learned how to bake fresh baguettes. Yum! Would love to get back into baking bread and could use a jump start. Great give away! And if you recommend it, it has to be a MUST HAVE book. I'd love to win a bread book! I have a bread machine and some great recipe books for it, but I'd love to kick it up a notch and try ditching the machine! I would love to add that book to my collection. My girls need to learn to bake bread! My husband and boys love bread. I have enjoyed trying my hand at bread a bit lately. Would love to win the bread cookbook. I knew those classes you took were good for your soul and artistry! The book looks fantastic! I'll recommend it to my son who just started experimented with bread baking at the age of 33 and I may pick up a copy as well. Love the connection with bread baking and the title of this post:) Thanks for the book recommendation! Love to make bread from scratch. I have the Artisan cookbook and love it! Thanks for the chance to add to my collection. Congrats to all the winners of the fabrics. Alma and Barb are such sweethearts! Love Richard Bertinet's books, too. The best of both worlds...Bertinet and Blackbird! I would love to win this book. I love making bread and pie dough. The book looks wonderful.. Even the photo of the bread looks good enough to eat! Think it's wonderful you share such wonderful things -- bread looks wonderful! Love the quilt as well. Ummmmmm, bread, yummy!!!! Never have tried to make bagettes, but I'm game. Please enter my name in the contest. Oh yum, that bread looks so good that I can almost taste it. That book sounds great AND that reader's quilt is to die for. Great job! I've never made bread. It's time to give it a try! I just returned from Germany and had some of the best bread. I would love to win the book and make my own. Your bread looks yummy! I'd love to be in the drawing. I love to make bread, but my results are always inconsistent - I bet this book would help me a lot! Since I have never successfully baked a loaf of bread in my long (62 years) life - and as you you see, I'm straight out of the hippie, Earth Mother era - I tried and tried! - I would LOVE to win this book! If I don't win, I'll most likely buy it! Love to eat bread so I guess I should learn how to bake it. Enter me in your drawing for the book. Please enter me in your drawing. I would love to know how to make bread before I'm 60. Bread. Yum! Homemade bread? Yummier! I'll be making basic sweet dough this week. But easier bread sounds...easier! I love the kneading by hand. When I don't have time, I let the bread machine do the work. But it's very therapeutic when I do take the time. Thanks for another drawing and that quilt is beautiful. I love baguettes and yours look wonderful! I, too, have never made them, but it is about time to learn. I read my cooking/baking books like they are novels. Maybe I will win one of these times! What a fun giveaway- I too am eager to be "transformed" and learn the art of bread baking! I used to bake bread when I was first married, but for some reason, haven't now for many years. I'd love to get reacquainted with it...I can almost smell your baguette through the computer screen. I'd love a copy of this book! Just sent you an email, I think I am a winner. I also just got done baking dinner rolls and sweet rolls. I love bread any time, day or night. And, I love baking bread. I will have to check out that book! There's nothing better than warm homemade bread with a meal! I would love to win one of these books. Thanks for giving us a chance. I am ready to start baking bread too. I did make some great rolls for Thanksgiving. But need to keep at it. Please enter my name. The smell of bread baking is wonderful! You can never have too many cookbooks especially if it's bread recipes! Baguettes is one I would love to try! Thank you Alma! Happy Holidays! Bread and Butter! That is what life is about. I love the picture of your baguette. I can not wait to try, yet another talent you share! Thanks! You just keep getting cuter and cuter - first quilting and now baking. Mmmm...nothin' like fresh baked bread!! That looks SO yummy! This is great at Christmas time! My son, BJ is the baker in our family. He makes the most amazing bread for our Christmas dinner. This would be a great gift for him. Happy Holidays to you and your family. wow!That bread really looks delicious! How fun! Your bread looks delicious and your book review makes thi volume sound like a must-have! Also, how cute is that quilt with the houses? Hope I'm lucky and able to win the bread baking book. Your children are so lucky to have you for a mother. About the book including a dvd... it's funny how seeing something done makes it seems more approachable! Enjoy teaching your family the joy of making bread. Your baguettes look delicious!! Who doesn't love the smell of fresh bread baking! Congratulations to all of the winners of your gorgeous fabric! love baking and love bread...would love to win the book! I LOVE fresh bread and would love to be able to make it.The baguette looks sooooo yummy. I chuckled when you said your children roll their eyes because you are going to have them learn to bake bread before they head out again. My son at college, is interested in getting my recipes to cook while away at school. I love our cell phone conversations where I answer his cooking questions, sometimes while he is in the grocery store. I enjoy baking bread and don't do it enough anymore. Please jump start me and enter me to win this book. Renaissance Mom creates Renaissance children...bake on!!! I need a book like that. I tried to make Parker House rolls for thanksgiving and after three attempts the final batch wasn't that great! Learning to work with yeast and make bread, especially cinnamon rolls, has been on my to-do list for more than 20 years! Kudos to you for taking the plunge! You've inspired me to get the book and just DO IT! Oh, and there will be eye rolling from my kids, too! You're so right about them at least knowing that all bread doesn't come in a bag! Thanks for offering great prizes and inspiration! I've got my dough hooks ready, and would love to win!! I love hearing of this new venture you have going!! I do like my bread. Thank you for the opportunity to win. One can never have too many bread cookbooks. Making bread is an almost spiritual experience. I would love to know how to make bread before I'm 60! Pick me!! My husband has taken over the bread baking in my house (Healthy Bread in Five Minutes a Day) and I'd love to broaden his repertoire! Please enter my name in your drawing. Thanks! My grandmother baked 3 loaves of bread every Friday. As soon as the bread was cool enough to slice - but still warm enough for the butter to melt - she would cut off the heels (ends) and eat them with a cup of coffee. She tried to teach me but alas I never embraced it. Perhaps I'll be inspired again sometime. Oh please enter me in your bread baking book contest! Those baguettes look wonderful. I also love, love, love the quilt picture - I bought this book a while ago and keep gazing at the quilt - maybe next year! I'd love to win a bread book - I LOVE to bake! Did you bake the baguettes? They look soooo good!!! Baking bread - yum!!! Thanks for the chance to win the book. I would love to have that book, my library doesn't have it. Thanks for sharing new info. with us on what you are trying. I have a few favorite breads, but never seem to make and they take a long time to make and rise. Your new bread venture looks very nice. Not to mention your talents with quilting, stiching and writing such wonderful books. Oh! My! did that baguette look yummy. Thanks for the great giveaway. Oooohhh - I could use that to go with my beef stew and other crockpot recipes. Working full time makes it hard to bake bread but there is nothing better than fresh bread as we sit down to dinner. I hope I win!!!! Perhaps this is my lucky day?? Mmmmm.... I can almost smell that bread from here ! I love bread and I can live on bread and cheese forever. I would love to be entered in your drawing for the bread baking book. Thanks !! I grew up watching my mother bake bread and cinnamon rolls every Saturday. She used her mother's recipe and I use the same recipe when I make bread. And then I experiment with specialty breads. Everyone should know how to knead bread! Oh, I agree, baking bread is so satisfying and the results taste so good. I live in high altitude (7,000 feet) and everyone thinks you can't bake here, but bread is great because it rises faster and lighter. You just have to be prepared to bake when it's ready! Would love an easy, good bread recipe and would enjoy reading this book! Oh my If I don't win I will purchase the book for next Christmas! My three sons all went to K-State. Two were in milling and one in mechanical engineering but all three joined the baking club (free cookies and Pizza on bake night)---they learned a lot about baking (and all were officers in the club)!!! And it encouraged them to cook which I could never get them interested when they were home! They all would like it. Will be a great Christmas present next year! Please enter me in the drawing for the bread book. I tried bread making once and when it came out tough, I stopped. I'd like to try this book. You make it sound so easy. I have always wanted to learn how to bake yeast bread but have been intimidated by the kneeding process and let rise process and the how warm it needs to be and how long and where to rise etc. So I do hope to win a book - the dvd should be the clincher!! I should be able to follow the pictures!! I have always wanted to learn how to bake really good bread. Please include me in your drawing -- and happy baking. I want my life transformed! Please enter me in the contest. Thank you. I want to learn to bake bread too! Merry Christmas! I thought I had every bread baking book ever printed, but I don't have this one! If I don't win, it's going on my Amazon list for sure. That bread looks yummy. There is nothing better than smelling bread baking and eating hot bread straight out of the oven. I really enjoy baking bread....almost as much as mu family enjoys coming home to that fabulous smell! Baking is so therapeutic. I'd love to entered into the drawing. Nothing like homemade bread! And by the way, Merry Christmas from Georgia! I'd love to be rolling the dough ... or maybe that's rolling in the dough. Either way, I am convinced I should try some bread baking over the holidays! I'm baking bread tomorrow for a soup and salad supper. Quick Yeast Rolls to go with the Steak Soup and Rosemary Focaccia with the Rustic Tomato Soup. The book would be a welcomed addition to my library! I would love a chance to win this cookbook. I also have a cookbook addiction as well as a cross stitch one! Thanks so much!! Yummy!yummy! I would love to learn about bread making the old school way. No bread machine for me! Oh add my name to the list for a chance to win this bread book. My husband has been wanting me to learn how to bake bread. 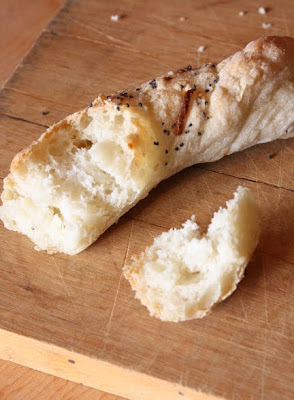 I have always wanted to make homemade bread without a bread machine - please do enter me in the contest! Thanks for all of the wonderful ways you encourage us to stretch and grow. I was at the bakery today and just as I was leaving they whipped out a batch of freashly baked French Bread - still warm. I HAD TO HAVE a loaf and ate half of it on the way home. Thankfully I did not have butter in the car! I would love to have my life transformed. Thanks for being there for us! I love baking bread but have never found the "right" recipe or developed the right technique. Maybe this book will make a difference for me too. Ooooh!Designer breads.The leaf design is fab,count me in I would love to try these. This looks wonderful Leaf shape bread. Designer bread Fabulous. I want to make bread! I love the smell of baking bread! I want to make it for my family. Happy Holidays! Do you have "Home Baking" by Alford and Duguid? It's amazing. A husband/wife team that travel the world and then write cook books based on what they find,see,taste on their journeys. When you're ready for another life transformation, check out their book on Asian cooking, "Hot, Sour, Salty, Sweet." O-h m-y. I absolutely love bread! I enjoy recipe books for baking bread, too. Thank-you for your blog - it is so fun to read. I just wanted to thank you for the candle tutorial... hopefully next year! And now bread! My mom was a terrific baker and I just never felt competent enough to tackle making bread. But now you've taken care of that too, and I love bread!!! I love baking bread - it looks yummy!